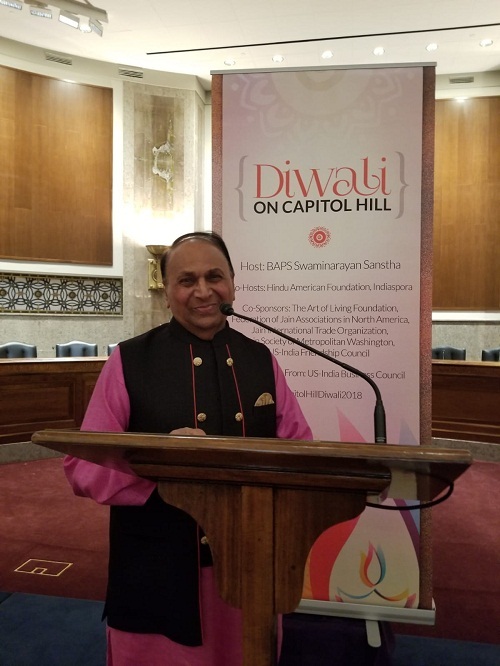 JAINA Newsletter: Diwali on Capitol Hill, Support Jivdaya, Jain Centers News, etc..
On November 14, 2018, the 2nd annual Advocacy Day of the BAPS Swaminarayan Sanstha, JAINA and other cosponsors hosted an event to celebrate Diwali and the Hindu New Year at the Dirksen Senate Office Building on Capitol Hill, Washington DC.There were over 300 attendees and several Congressmen, Senators, and representatives from Local, State, Federal levels including the Honorable Indian Ambassador to the USA. More details are given below. This Thanksgiving, support Luvin’ Arms, a shelter run by Jains, to protect, feed and provide medical care to farm animals. More details are given below. 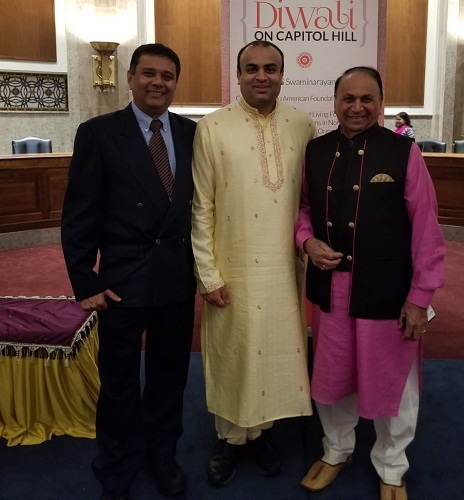 Moksh Shah, a 14-year-old completed all his Eagle Scout Requirements, renovated Jain Society of Metropolitan Washington’s Playground as a Service Project, and awarded the Eagle Scout Rank in October 2018. JAINA gives anumodna to such initiatives. More details are given below. 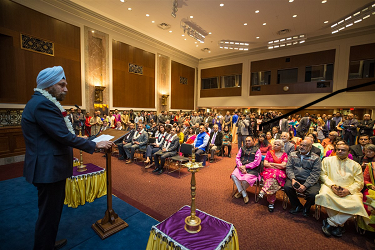 Q 1: What is the Sadh-Porasi? Q 2: What is the Purimuddh? Go to luvinarms.org to learn about their great work. Visit them in Erie, Colorado - You can take a free tour or volunteer to help them or Contact them to arrange a time and date. You can send a check or donate online directly to the organization. You can also give a check payable to Luvin’ Arms. Donate in honor of birthdays or special occasions. 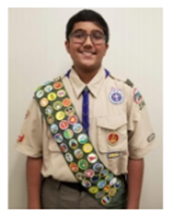 Moksh Shah completed all his Eagle Scout Requirements and Service Project at the young age of 14 and was awarded the Eagle Scout Rank in October 2018. As the Service project, he did the Renovation of the Jain Society of Metropolitan Washington's (JSMW) Playground. 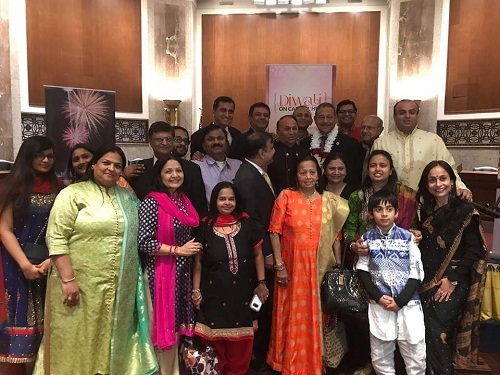 JSMW proudly recognizes Moksh Shah for his service to JSMW. There was once a wonderful kingdom, Shravasti in Bharatkshetra that was situated in Jambudveep. The realm of Shravasti was ruled by a kind & gifted King Vajrasen. He devoutly worshipped holy Jain Gods and justly protected the interests of the dwellers of Shravasti. He was married to a chaste lady Subhadra. Unlike the parents, their son Prince Bhimsen was very cruel and full of malice. He profusely indulged in the vicious seven addictions. King Vajrasen was extremely reluctantly on declaring Bhimsen as the Prince of Shravasti, but he was bound by circumstances to do the same. Since then Bhimsen had his greedy eyes on other’s wealth and laid his immoral hands on other women, thus creating many woes for all in the peaceful kingdom. Troubled by the horrors inflicted at the hands of Bhimsen, the citizens pleaded to the King. Hearing the woes of his beloved citizens, King Vajrasen summoned Prince Bhimsen in private urging him to bring a positive change in self. But it was like pouring water over ducks as Prince Bhimsen only kept sinking deeper by increasingly inflicting his hatred and malice on others. Tired of seeing this, King Vajrasen imprisoned his own son. Misguided by his ill-advising companions, the Prince murdered his own parents, thus becoming the King. 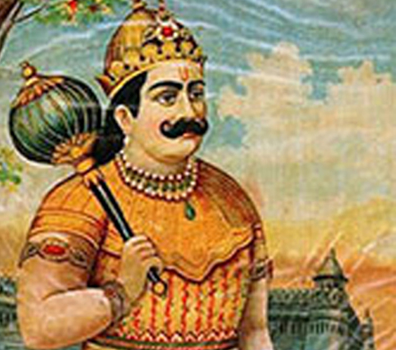 King Bhimsen drowned himself in the evil vices and deliberately harassed the citizens of the Shravasti. Weary of seeing all the wrongdoing of Bhimsen, the royal advisors, ministers and family members started discussing a solution to dethrone the unfit King & bring an end to all of this. They made a plan, held Bhimsen captive and left him in a deep forest, thus dethroning him. Jaysen, the younger brother was then elected to take over the throne. An astute, prudent and citizen-beloved Jaysen soon saw his coronation as King Jaysen. 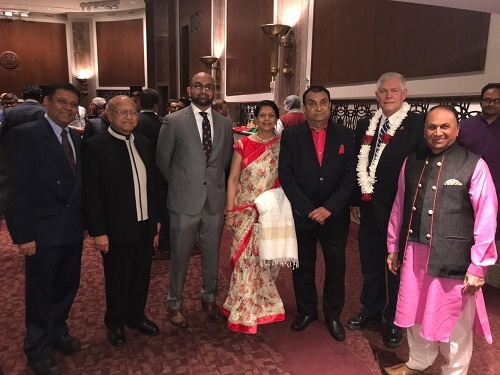 On October 5, 2018, Young Jain Professionals (YJP) held its second keynote National Conference in Melville, New York - a one of a kind conference designed to connect Jain professionals around the world while diving into our Jain heritage. A 1: Taking food and water four hours and thirty minutes after the sunrise. Q 2: Taking food and water six hours after the sunrise.